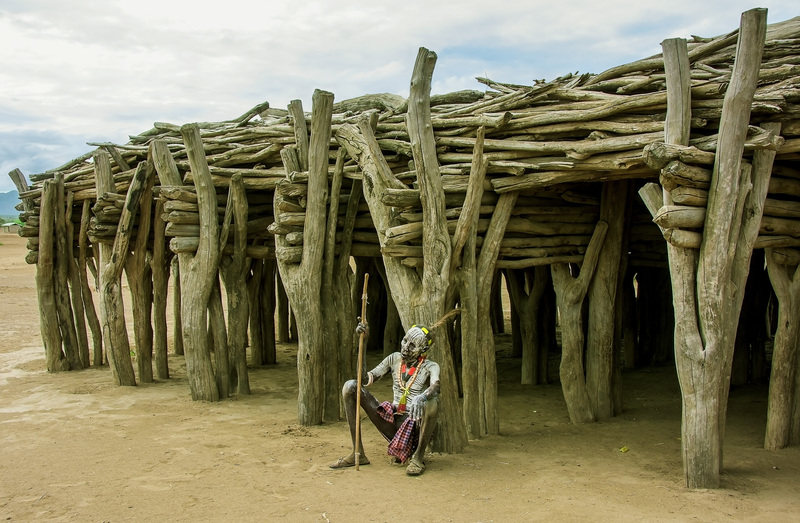 A Kara elder seated by the galma ceremonial house in Kara Dus village. The galma is constructed with massive forked branches planted in the ground. Only initiated, married men may enter the ritual house, where they can openly discuss important issues concerning the community.